Local SEO search markerting is essential to your business’s success. Every month there are over 10 billion unique searches performed in the United States, and over 40% of those queries are local searches. OCCO’s SEO specialists are experts in getting qualified, local traffic to your website. 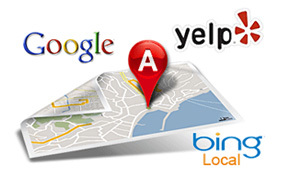 We will customize a local search marketing solution to fit your business. We service all cities nationwide. When it comes to small business marketing online, OCCO understands the importance of getting the most exposure from your marketing dollars. Attracting qualified leads online means optimizing your website for the clients you want! OCCO specializes in getting qualified, local traffic to your website, whether you’re an attorney in Las Vegas, a Roofing Contractor in Salt Lake City, or a national company with locally-focused branches across the United States. If you’re looking for local SEO services, contact us today for more information and customized research. We look forward to helping you reach your business goals! Small business SEO has leveled the playing field, and any small or medium-sized company can now compete on a much larger scale. At OCCO, we provide the search engine marketing services you need to climb the rankings and dominate your market.